This post surely won’t be my most awe-inspiring. I haven’t yet written it, but I assume it will be a bit depressing. 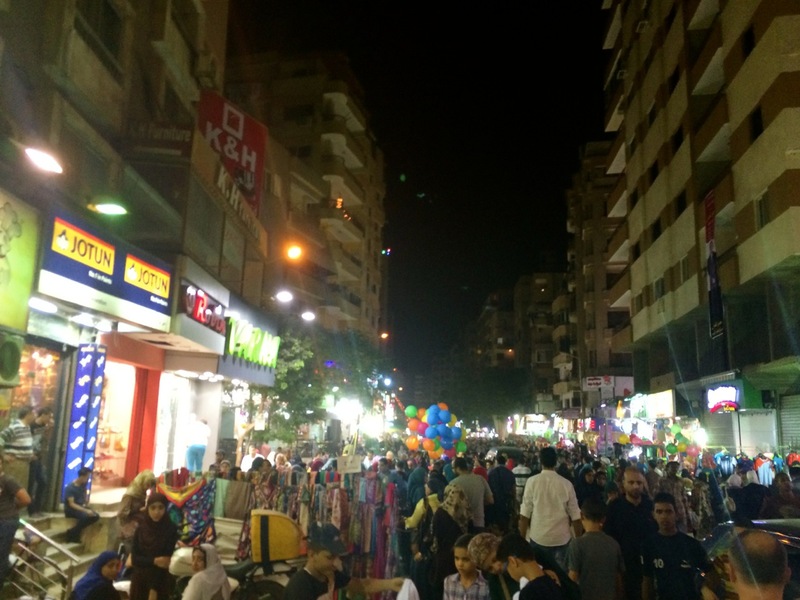 On my last few days in Cairo, I spent a lot of time amongst the common people trying to get a grasp of how their world works and what it looks like. What I found was at times heartwarming, but usually it was chaotic and sad. I have never seen the poor, really. Not until now. But let’s not start weeping just yet. All of us at the Pyramid View Inn are all old friends now, which is kind of strange. I’ve never made friends on a vacation before — at least not more than passing acquaintances. Egypt has a way of bringing you together, though. It’s such a foreign place and you will never fit in, so we kind of huddle together. It must be a subconscious desire for normalcy. I was the last up to breakfast and none of us planned on doing anything. Instead of doing anything, we decided to escape the heat and sun and go into the lounge. It’s not much cooler than the roof, but at least you won’t die of a sunburn. We were down there for hours chatting away about Melony’s quest and mysticism. She explained her journey in more detail. The ancient Egyptian god, Anubis, is always with her and is one of her guides. She is the last person of a triad that can accomplish her goal of accessing the Hall of Records because the other two people who could do it are already ascended masters. That’s an abbreviated version. She leaped up a moment later and hurried off to her room. Smiling wide, she had two books in her hand when she returned, she gave one to me and the other to Lou — a sweet old guy who has an awesome mustache. She felt that they were for us. Before she had packed for Egypt, some gut instinct had prompted her to take these books of hers along. It was preordained, then, that I get a book on vibrational frequency. I admit that this is a little strange because I’ve actually long been interested in the scientific usage of frequencies. Maybe there’s something to this after all? We all headed to our rooms for a few hours to nap and fight off the overwhelming boredom. 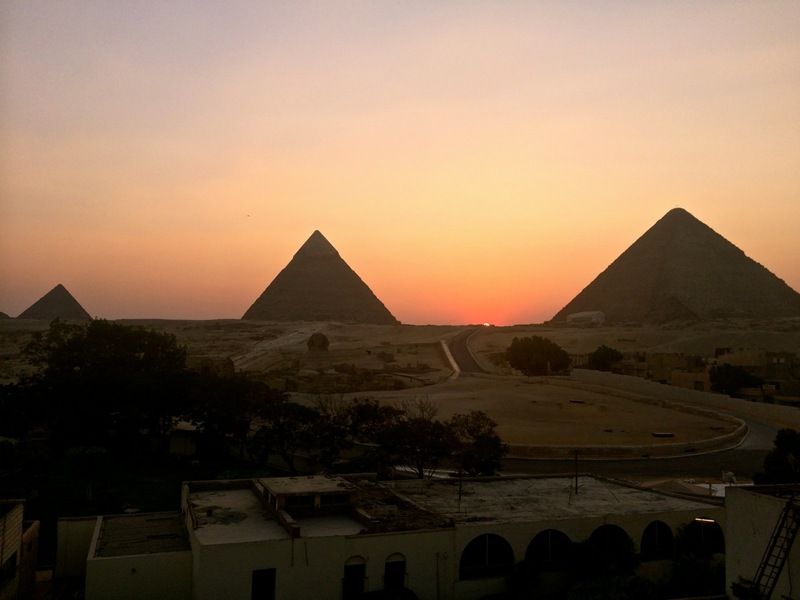 You don’t really do anything in Egypt until sunset unless it’s a tourist attraction. I’d already seen the Museum and the Khan and I’d seen almost more than enough of the Pyramids. So, I was fine to lay around for a while, daydreaming of being anywhere but there. Melony had an early dinner and then went to bed, so it was just Nels, Lou, and I up there that night at sunset. Gao and Min, a couple from the Twin Cities — I swear it was like a Midwestern reunion — agreed to go out walking with us. So, much to Tito and Kamal’s alarm, off we went. We went in a direction that none of us had gone before and maybe this wasn’t the most brilliant thing to do. Instead of the area getting progressively better, it rapidly became worse. I didn’t feel threatened and I had no gut instinct telling me to get out, but it’s a bit disconcerting to walk through a poor area where there are few lights and very curious locals. Nels likes to walk as much as I do and he has absolutely no fear, so we walked and we walked and we walked. I could hardly see my feet in front of me. We walked and we walked and we passed by welders and auto shops that were in the middle of nowhere. They used fire to see. Eventually we reached the highway and I could tell that the couple wasn’t entirely comfortable. I can’t blame them. It was weird up there with just a few streetlights casting a ghostly pallor over everything. As we walked down the ramp leading back into town there was a very angry dog that stayed away from us, but let us know that he was there and that he was incredibly unhappy about our presence. That’s actually the only thing that scared me on this entire trip so far. 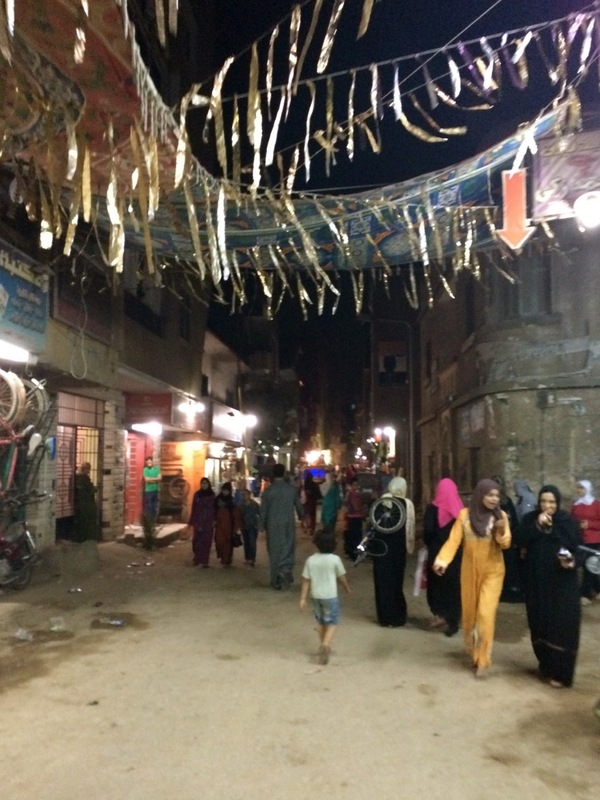 I did not want to be bit by a rabid dog in the middle of a slum in Egypt. It would have made an excellent story, though. 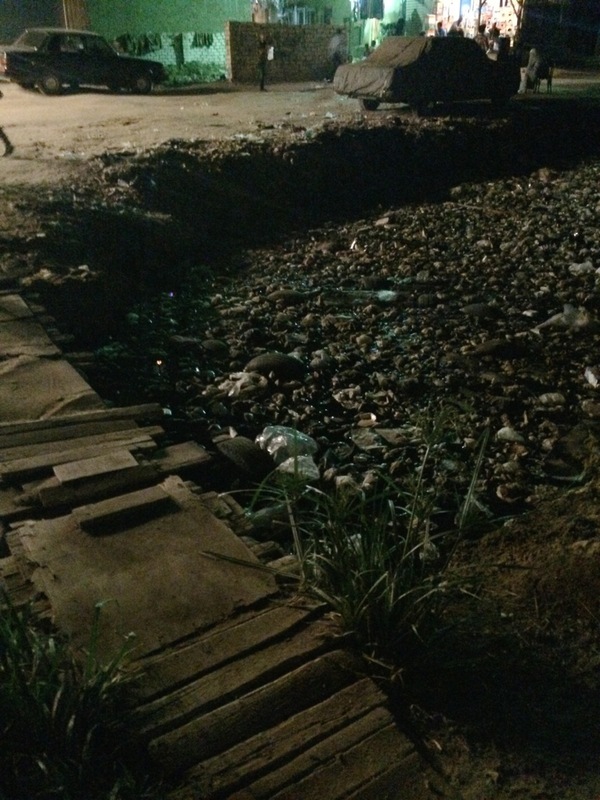 We had to cross a deserted field to make it back to town and we couldn’t even get into town until we crossed a makeshift bridge that was crudely constructed over a sewage pit loaded with garbage. This might be one of the saddest things I’ve ever come across. 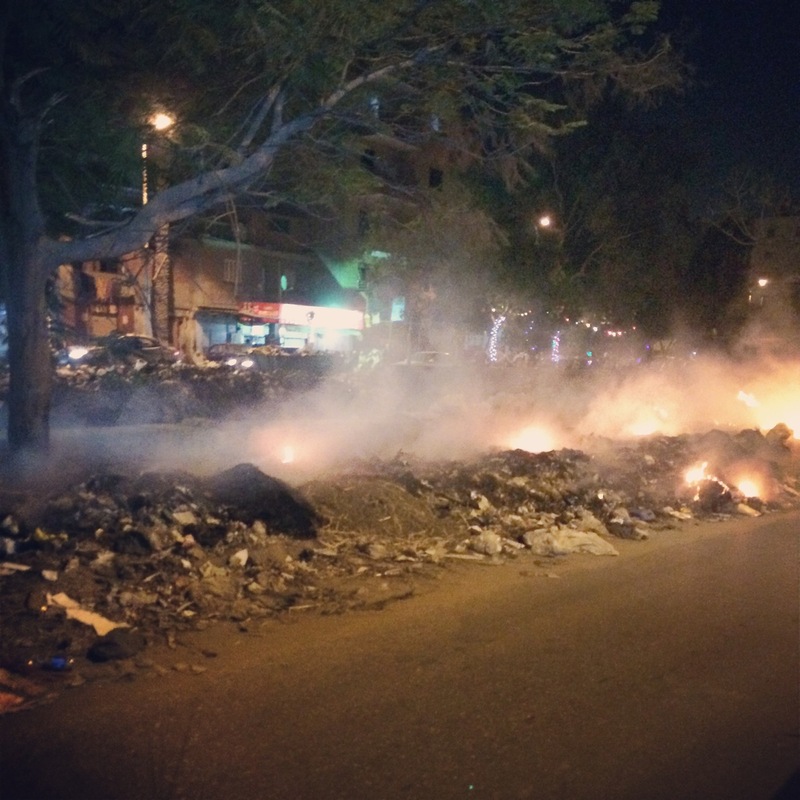 The trash in Cairo is a huge problem, but I’d never seen something like this. It was like a river of waste and it smelled worse than you can imagine. It was dark and the odor was rank and I’m thankful that the wobbly bridge held me as I crossed. I probably would have melted if I fell in. I would have been thankful to die if I had. 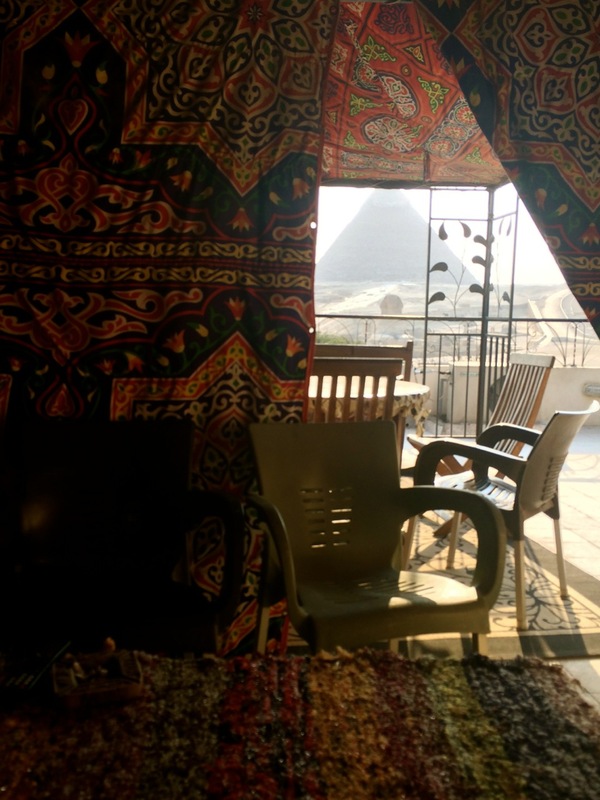 Once we passed the huge piles of flaming trash that were ablaze on the side of the road with absolutely nobody tending to it, we made it into the winding roads that make up the old part of Giza. It was charming and the people were very kind. Unlike in tourist zones, where you can’t trust anybody (not children, not kindly old people, not even the donkeys), here the people were legitimately kind. “Hello!” The children would say and would burst out laughing when you responded. Others had a more extensive vocabulary and would say, “Welcome to Egypt!” Still more said, “Thank you!” and then more shouted it as we passed them by. It was rather like being a liberating army, and in a way, I suppose we were. Tourism is the thing that keeps this country going and there are so few tourists right now. Seeing us there must have been something of a relief. We finally would our way back to the hotel and Kamal was overjoyed to see us and gave us all high fives. The power was out when I woke up, but that was no surprise whatsoever. It goes out at the most inopportune moments. In Egypt, that means that there’s no water, either, so I headed up to breakfast looking like a mess. Lou was the only one up there that morning and we had a nice time chatting. He thinks that the Pyramids are a kind of power generator. Maybe they are? I don’t know. I love all these theories, but I’ve never given strong favor to any of them. I mean, maybe they were tombs, but the Egyptians went to an awful amount of work for a tomb. I suppose that’s the point, though, isn’t it? We chatted about how they could generate power and then our ramblings branched out and we tried to figure out why the ancients would need power at all. Finally we came to the conclusion that the capstone of the Pyramid once housed some kind of crystal and the alignment of the three pyramids somehow activated the crystal. Once activated the crystal would produce ions that would help the people be happy and healthy. That’s about as close as we came to a solution. I liked it better than the power station idea, anyway, even if it was all just a silly discussion. Finally Lou and I began chatting about other things, too. He used to be quite a chef and cooked in nice hotels like the Hilton and the Biltmore all over America. So, we talked about food for ages before it was too hot to stay out there any longer. The other day I had sent my clothes out to be laundered and was happy to find them waiting for me when I came downstairs. They had been washed and pressed for thirty Egyptian pounds, which is about four American dollars. Worth it. I was very happy about that. I made arrangements for my taxi the next day and then wasted some time fighting with this stupid website. The Internet in Egypt is absolutely trash, reader. It connects for about four minutes and then you have to wait for ten before it connects again. When you’re lucky and it stays connected, the speed is so slow that there is next to no point in using it. I haven’t checked social media in weeks. I’m just thankful when I can get my emails read. Since tonight was my last night here, they wondered what I wanted to do for dinner. There’s a Pizza Hut down the road, so we decided on a pizza party. Nels and I went over to get the food and I was really rather impressed by the restaurant. I haven’t been to Pizza Hut back home in ages, but I don’t think we have all the things they do. They even have chocolate cake! So, of course I got myself a slice of that. Back on the roof, we watched the sun go down and the awful Sound & Light show start. We made fun of it the entire time and it’s kind of delightful to mock the Sphinx, but he sounds like Lawrence Olivier and the entire production is terribly dated. 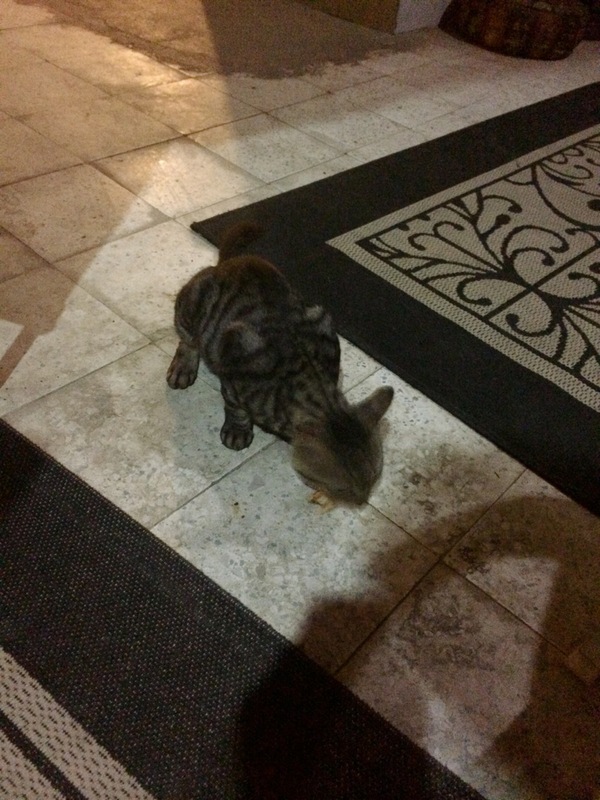 But there was a cat who found us, so I was happy. We sat around chatting about chakras and aura shields for a while and I was having such a nice time because it was all so different from what I had expected. If I hadn’t met these people, I would have been so miserable, but they made my time in Cairo unexpectedly amusing. I came for history, not spiritual and metaphysical chitchat, but it turns out that this is exactly what I needed. I’ll never again think of the pyramids without thinking of Melony or Lou or Nels. We decided to go for another late night walk, but from the outset, I felt unhappy. I’m not sure why, but I really wasn’t enjoying myself whatsoever. We were looking for an ATM for Melony. Her card has been denied by most of the local banks — an annoyance I can totally sympathize with — so that was our quest. My throat was burning and my lungs were so heavy from the pollution. I wanted some kind of mask or a cleanser for my insides. It was so bad. People were out like mad that night getting ready for another evening of eating. Ramadan was still going strong, and I’m glad I came here during this time. It’s rather beautiful to see their paper banners stretched over the streets. I was tired of walking, as was Melony, but Nels wasn’t taking any of our hints about heading back, so Allah only knows how far we went. There was an illegal firework display going off as we were on our way, but then the people started running and told us to run, too, because the police were angry and were on their way. That was alarming, so we went off on a side street into another world. The streets were even more packed and more bright. Music was blasting. Vendors were everywhere. It was absolutely insane and slightly overwhelming and I was ready for bed. 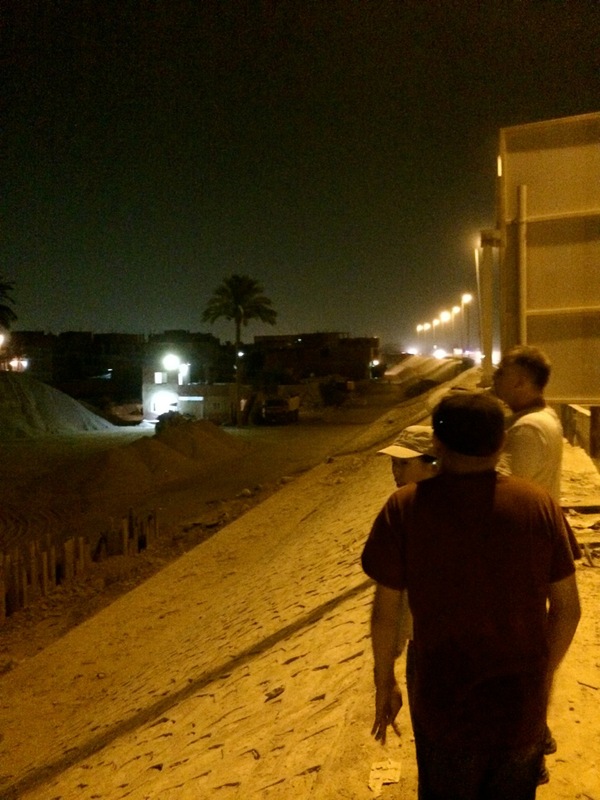 But we still had roads to go through, malls to wander, and alleys to cut across. Finally we found a Barclay’s Bank and it had an ATM that worked, so our quest was complete and we headed back. I was ready for bed and ready to get out of Cairo.